AKIPRESS.COM - Marines have used a specialized 3D concrete printer to print a 500-square-foot barracks room in just 40 hours, Fox News reports. 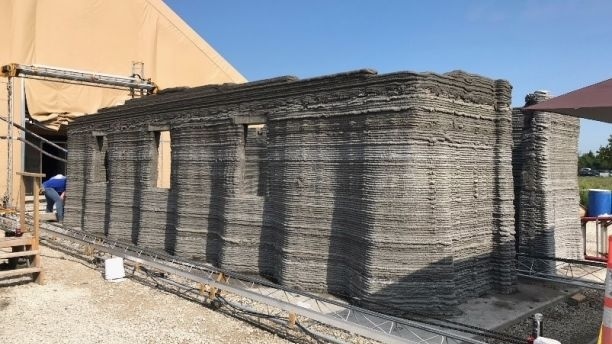 The innovative project created the world’s first continuous 3D-printed concrete barracks, according to the Marine Corps. The barracks room was built earlier this month at the U.S. Army Engineer Research and Development Center in Champaign, Ill. Army and Navy Seabees were also involved in the construction effort. Harnessing the world’s largest concrete printer, the Additive Manufacturing Team at Marine Corps Systems Command teamed up with Marines from I Marine Expeditionary Force. Using Computer Aided Design software on a 10-year-old computer, the concrete was pushed through a print head and layered repeatedly to build the barracks room walls. Friedell said that the job took 40 hours because Marines were carefully monitoring the project and continually filling the printer with concrete. However, if a robot was used to do the mixing and pumping, the building could be built in 24 hours, he added.